Come get weird with Four Day Beard. This Friday June 17th at Camozzi’s in A-town. 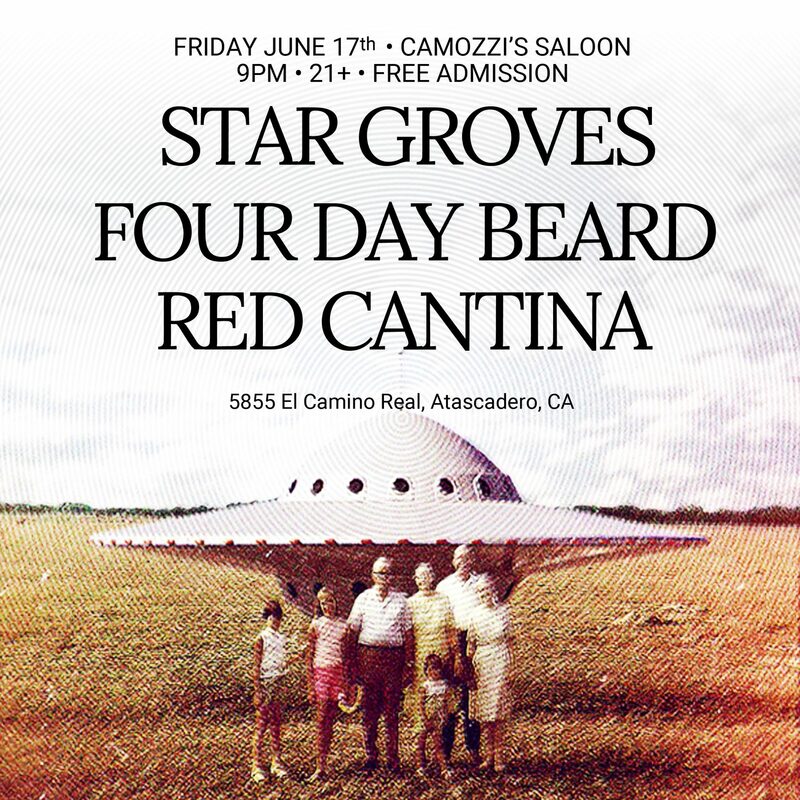 Enjoy a night of original music from Four Day Beard, space psych rockers Star Groves and local indie band Red Cantina (Formerly La’Costa). CD’s (with digital downloads) will be available for $10. but if you can’t make it to the show, Boo Boo Records has them too! Giving you a reason to drive (or stay) up the grade. Share and Invite your friends!